1UP is a small clip-on device that tracks your physical activity throughout the day. It is designed around the fundamental tenet that most people don't want to quantify themselves to obtain data, they want to know what they should do to be healthy. With the generous assistance of Mr. Fletcher Bach, I etched my first custom circuit. It has two LEDs and two 220 Ω resistors. I surface mounted the components for a thinner profile. There are also three holes for pins to connect to the TinyDuino that I used as the microcontroller. After cutting the excess wafer, I soldered the TinyDuino to the board. It didn't work at first because I had put both LEDs backwards, but after troubleshooting this it works perfectly. The enclosure is a small acrylic box with a cover of two halves of acrylic sandwiching a strip of wood. After creating this device, I finally understand why the concept of wearables has been so slow to take off. It's an incredibly hard design and development process that requires knowledge in several very different fields. I now have more of a respect for why "failed" wearables fail. 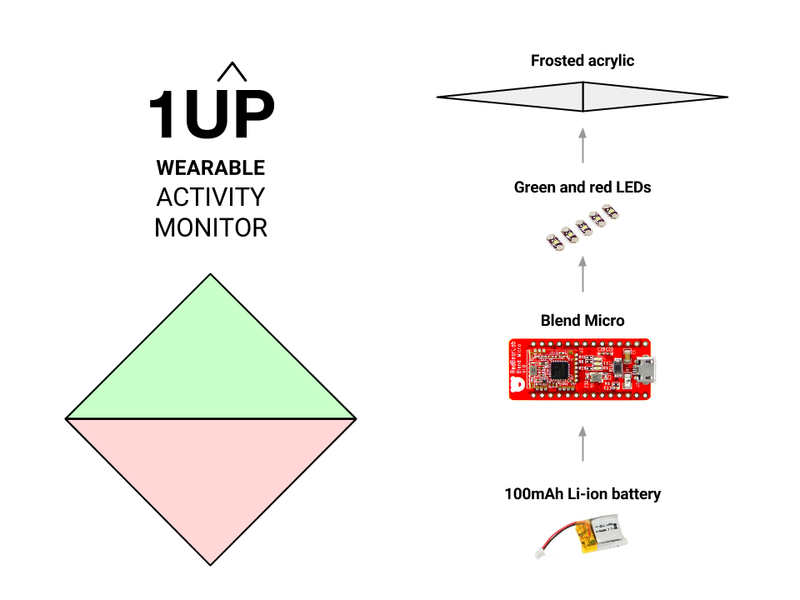 My final project is a small wearable device that encourages physical activity by monitoring the number of steps you've taken during the day and abstracting this information into either an "upvote" or "downvote," similar to the voting apparatus used on Reddit. If the green arrow is lit, your physical activity is trending positively, and if the red arrow is lit, you need to get some exercise. The device will use your daily average number of steps to determine whether you should be upvoted or downvoted. The biggest technical challenge is that I have been unable to obtain the Blend Micro or a Bluetooth LE TinyShield, as one is out of stock and the other takes weeks to ship. Even if I had ordered several weeks ago, it would have only arrived next week. I am exploring alternatively options, including using a TinyDuino to demo the device as if it was paired with my iPhone. Today before class I am going to fabricate the acrylic pieces, and mock up the other components to get a sense of its size. In order to determine a way to make people in close proximity more intimate, I imagined a social situation in which nonverbal communication would be of great importance: a party, crowded with people who you both like and dislike. I also used The Nonverbal Dictionary to refresh my familiarity with the nonverbal methods I learned in Speech and Debate class in high school. 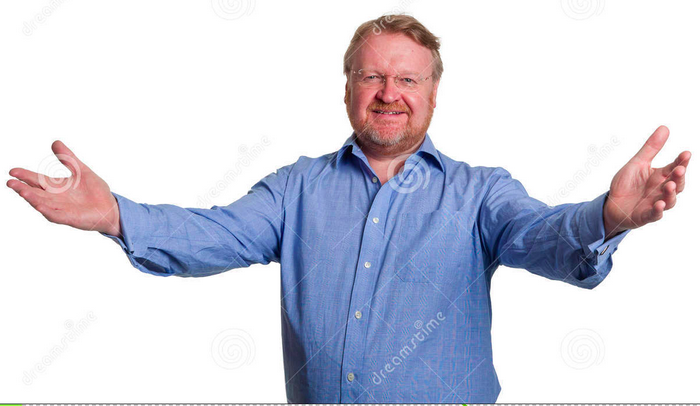 The arm-cross is a classic nonverbal cue that is "unconsciously used to alleviate anxiety and social stress." 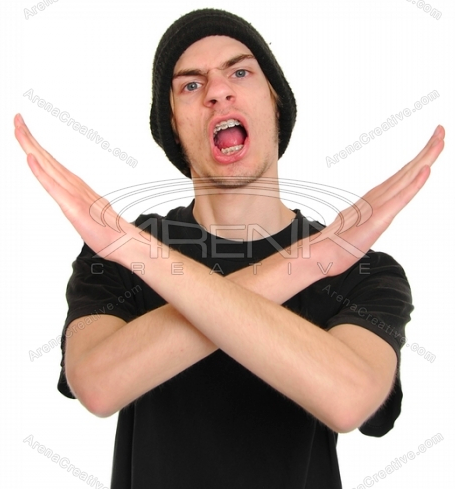 A study on college students even found that "women use open arm positions with men they like, but cross-arms with men they dislike." 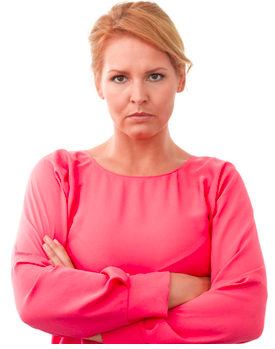 The study concluded that men show no difference in this regard, but I beg to differ, as I know I cross my arms when I'm talking to people I dislike. Since the goal of this week's project was to increase intimacy, it would make sense that a reduction in arm crossing could facilitate more intimacy. 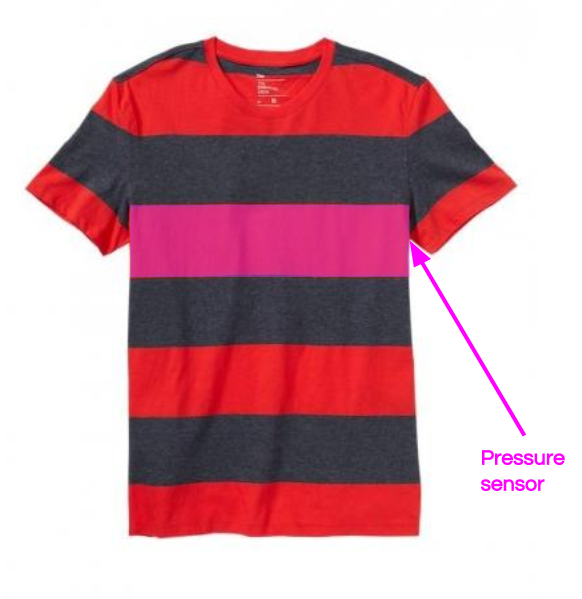 My design prototype is a shirt with a pressure sensor band underneath the fabric across the chest, which would detect the presence of the wearer's arms in a crossed position. I enjoyed this week's article, "Reframing health to embrace design of our own well-being". It is a call to action for the redesign of every aspect of the healthcare system to allow those who we today call patients to become tomorrow's users of a participatorily-designed structure focused on true well-being, not just being free of disease. Or in the words of the the World Health Organization, health is "a state of complete physical, mental, and social well-being." I agree that we need to empower people to take control of their own healthcare. There is a recognizable trend in this direction that I believe started with the rise of the Web – simply having access to more information turned a lot of people off to the traditional model and on to the DIY, holistic side of things. There are merits to both strategies, of course, but we need a merger of the two to really get the most advantage. The article is also inspiring because it brings the concepts of good design to an area which might not seem hospitable to design practice. Though we usually think of good design in the form of objects or structures, design thinking applies to pretty much every construct in the world, tangible or otherwise. This is why Dubberly's brief introductory paragraph is so inspiring – "wicked problems can be 'solved' only by reframing, by providing a new way of understanding." For my midterm I developed PanHandler, a Tone.js plugin that pans an arbitrary number of inputs in interesting, random ways. To showcase its abilities I built a simple visualization which can be controlled with the keyboard. Additionally, each of these methods can take an argument specifying the time to ramp the pan (e.g. shuffle(1) would randomize the pans of all of the inputs over 1 second). In order to visualize the inputs moving across the aural space, I created grayscale bars for each one (in the demo there are four inputs, so there are four bars). These represent each distinct sound/note. As you use PanHandler to manipulate the pans, you can simultaneously see and hear the movement of the sound. 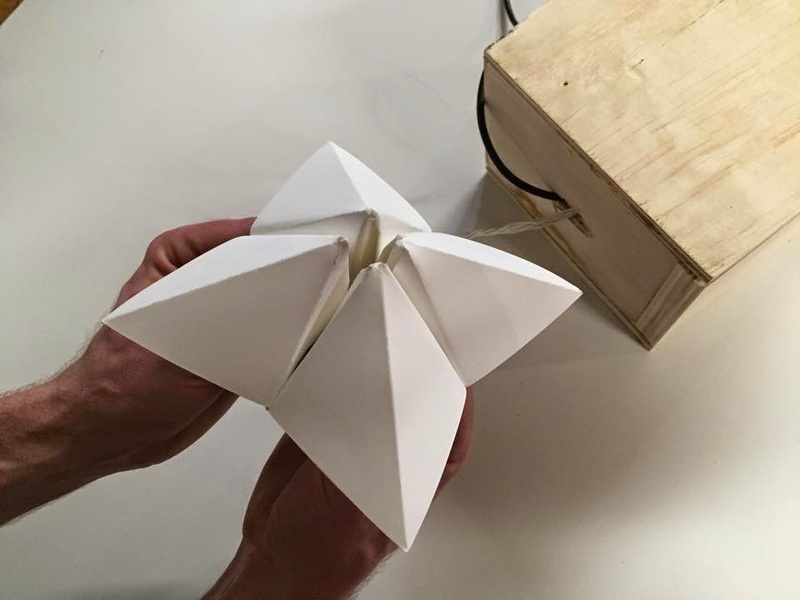 Jia, Jason, and I created a GSM paper fortune teller that sends you a text message containing a fortune. 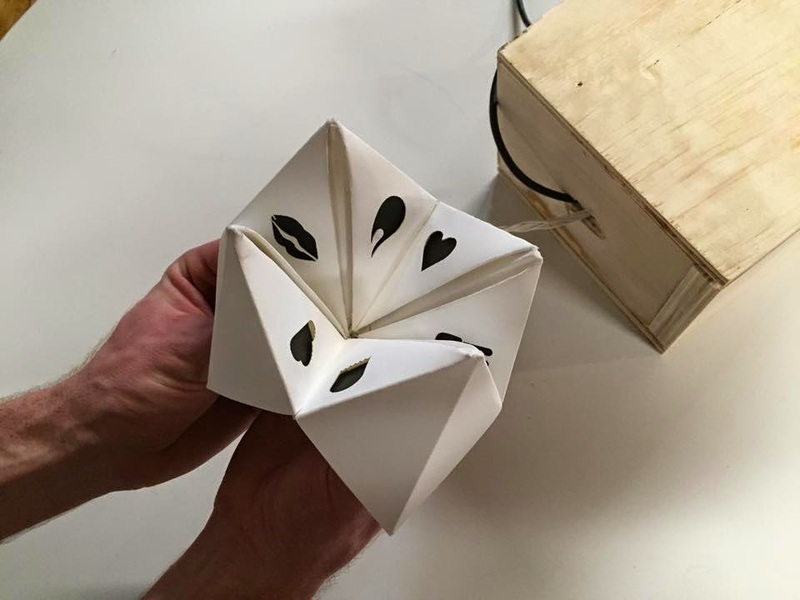 Inspired by grade school fortune telling mechanisms, this project uses a GSM module, and Arduino, and conductive paint to put a new twist on a classic form. Jia and Jason handled most of the fabrication, while I wrote most of the code to handle the GSM module's interaction with the Arduino. 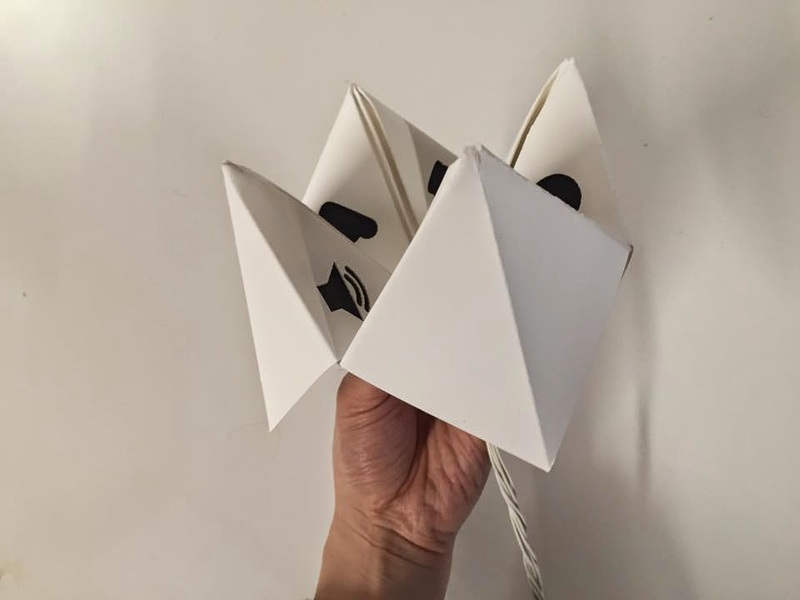 We used a software serial connection to communicate with the module, and used a series of basic commands to initiate the sending of an SMS message when one of the black symbols is squeezed by the user's fingers. One of the key things to remember is to send the AT+CMGF=1 command anytime the GSM module has restarted. This command sets the module's SMS mode to text, allowing the subsequent command to send the message, AT+CMGS, to function properly. If you don't do this, you will be unable to send messages at all.